A bachelor degree with a 2:1 (hons) in a relevant subject Full entry requirements. Analysts use their expertise to make sense of this information, interpret it and uncover hidden patterns and important insights, enabling evidence-based business decisions. As a result, they’re in very high demand with employers on the lookout for analysts in every sector. This programme gives you an insight into business analytics and explores how organisations can exploit the big data revolution. You’ll develop decision-oriented, quantitative analytical skills in a management context, and learn to sift intelligence from the growing volume and variety of data collected on many aspects of life. Combining theoretical concepts with practical application, you’ll develop a unique mix of quantitative and behavioural skills relevant to data analyses, effective decision-making and management. You’ll be taught by internationally recognised academics and business practitioners from our Centre for Decision Research, who are actively engaged in the latest research, advising businesses, governments and international bodies. They share this expertise and knowledge with you in the classroom. With the Leeds Institute for Data Analytics on campus, the University of Leeds has a growing wealth of expertise and resources in data sciences. You'll also be encouraged to join the Leeds Data Science Society, a group of diverse individuals at the University who share an interest in 'big data' and analytics, which continues to grow and host a number of workshops and events throughout the year. This programme will build your knowledge and understanding of how business analytics can provide evidence to support management decision-making. You’ll learn how to use different evidence-based approaches to make effective decisions, developing your skills in quantitative analysis. You’ll learn to use advanced analytical techniques such as forecasting, predictive modelling, clustering and optimisation while having the opportunity to apply your decision-making skills to real-life business and management scenarios. With the support of leading researchers in this constantly shifting landscape, you’ll also gain an understanding of research methods and consultancy. A range of optional modules allows you to gain specialist knowledge that suits your interests or career plans. The course culminates in a 12,000 word dissertation or project, enabling you to apply your learning to a topic of your choice. This is an opportunity to explore the very latest insights with the support of an academic who shares your passion and interest. You'll take eight compulsory modules including your dissertation. You'll also take two optional modules. We use a variety of teaching and learning methods to help you make the most of your studies. These will include lectures, seminars, workshops, online learning, computer classes and tutorials. A bachelor degree with a 2:1 (hons) in a related subject. Must have a sound grounding in quantitative subjects, typically through some university-level courses in subjects such as statistics, management science, computer science or mathematics. 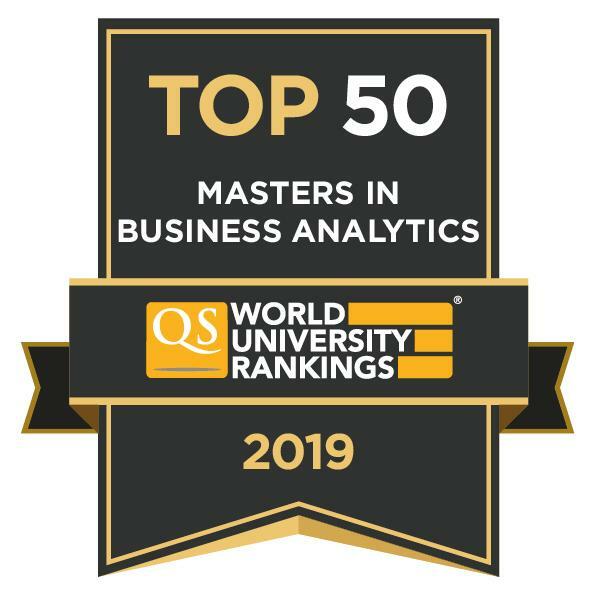 Graduates of the MSc Business Analytics and Decision Sciences can expect to have the quantitative skills to analyse complex business information, and use the resulting intelligence to inform business decisions. You will be ideally placed to pursue a career in analytics and decision making, general and specialist management roles in a range of industries, or as business or market analysts. Our recent graduates are now working in roles such as data quality analyst for the NHS, business analyst at Transport for London, operational researcher with The Home Office, operational research analyst for the Department of Health and advisor in business intelligence for Dell International LLC. Employers in both private and public sectors are actively seeking graduates with these skills, and trends show that the career opportunities are fast increasing. Demand for experts in business analytics is growing rapidly and the University of Leeds is at the forefront of developments in this area. We help you to achieve your career ambitions by providing professional development support as part of the course. You benefit from our professional development tutor, who will work with you to develop the important professional skills that employers value. The Careers Centre also provides a range of help and advice to help you plan your career and make well-informed decisions along the way, even after you graduate. The degree has opened doors into the analytics and data science job field for me, several companies admitted during recent interviews that there is a real gap in people having these skills. I have studied many modules that are related to analytics and IT management, which have helped me to build my data analytics skills by introducing various tools used in IT and the analytics industry. The number of universities offering this programme in Europe is quite limited, and I found the combination with analytics to be particularly thought provoking. Develop broad-ranging management knowledge and skills, whilst gaining critical insight and understanding into how organisations operate. Engage with the information society and digital economy as a leader, innovator or entrepreneurial manager. Gain the practical skills to analyse consumer data and provide insights for successful marketing strategies.